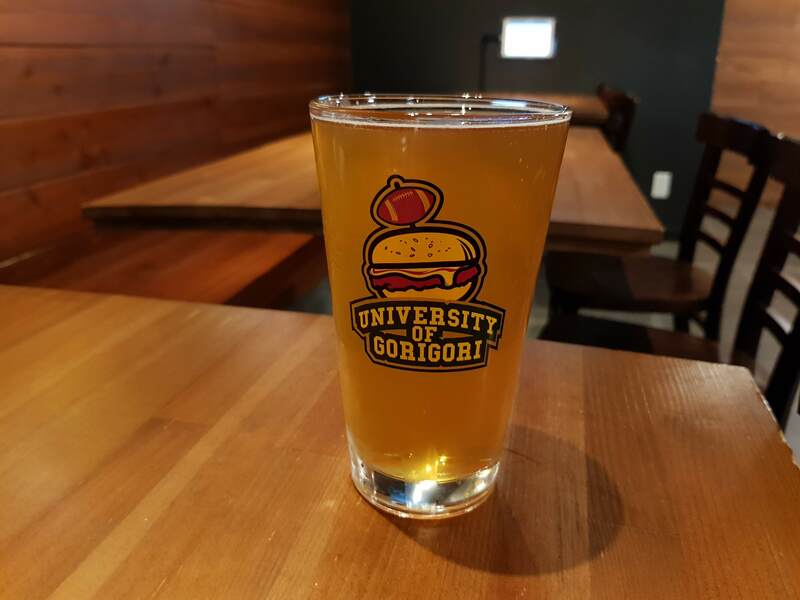 Gorigori Burger is a great-value beer and burger joint located down an alley opposite Roppongi Hills. 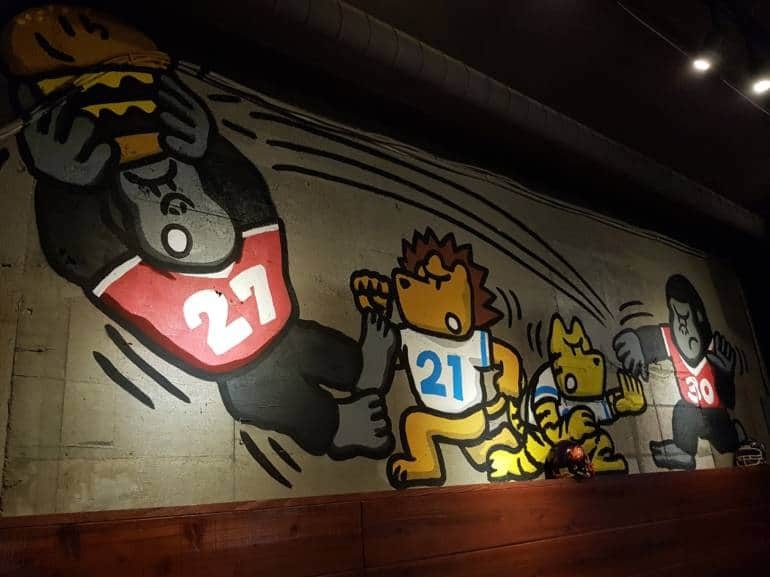 The American-football–themed restaurant (the owner is reportedly an former player) has 13 taps of craft beer and an extensive burger and food menu. The beer at ¥790 for a 480 ml glass (an American pint) and ¥490 for a smaller (265 ml) glass is fantastic value. Beers on tap during our visit included Sierra Nevada, Hansharo, Ise Kadoya, Ginga Kogen, Platinum, Ushitora, Brooklyn Lager and Hop Havoc. Usually, one or two beers are slightly more expensive at ¥890 for a pint and ¥590 for a small. A flight (6 small glasses) for sampling the beers on tap is ¥1,800. 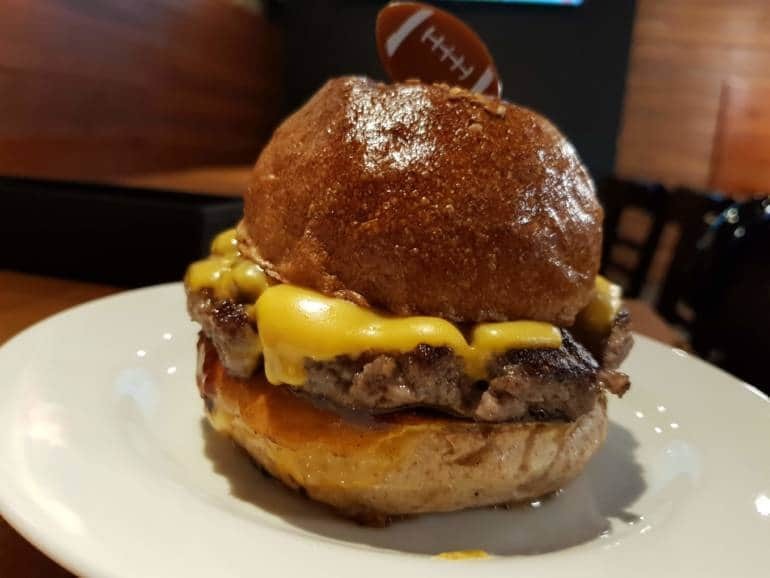 Burgers are a little more expensive, but they slot into the “gourmet burger” class with big juicy meat patties. Prices start at ¥1,100 for a basic burger up to the ridiculously large “Challenge Burger” for ¥4,000. 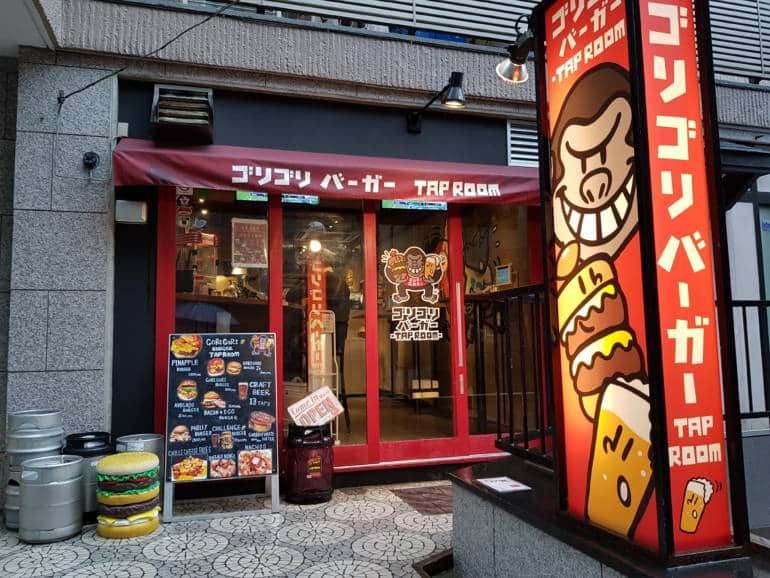 There are plenty of non-beer options as well, such as pints of Dr. Pepper (¥499) for the kids or non-drinkers. 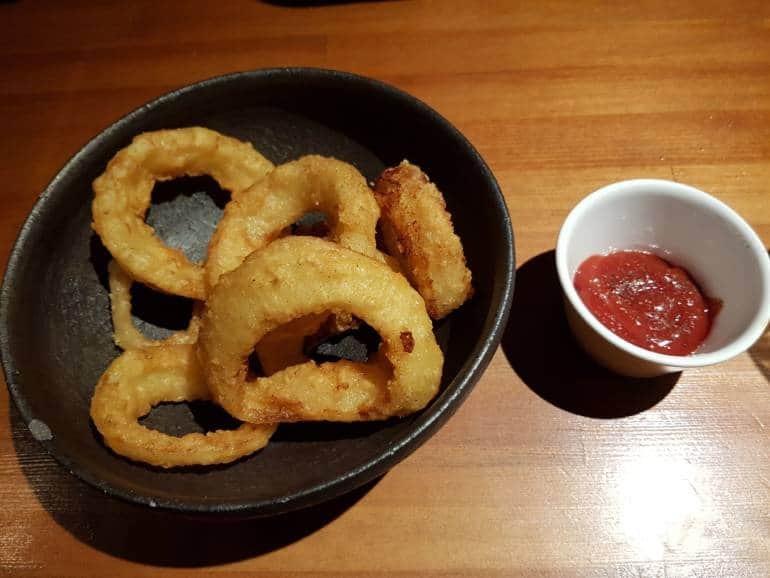 Apart from burgers, there are lots of fried option, like huge onion rings for ¥490, fried fish and tartar sauce for ¥499 and homestyle wedges for ¥499. All ordering is via an iPad attached to the wall. The touchscreen menu includes some hilarious options such as “Rental Ash Tray” for ¥50,000 or “Right to Smoke” for ¥150,000. Take out is available only for burgers. All prices quoted are exclusive of consumption tax. Also, note the early (for Roppongi) closing time. They apparently close when the burgers run out, so if you stop by before the official closing time and find that it’s shut, don’t be surprised.